The International Whisky Competition just released its results for this year’s blind tasting judging event. The highest recognition, the best Whisky of the Year, was awarded to Glenmorangie Signet which scored a phenomenal 97 points. A fusion of unique and rare elements, and clouded in secrecy, Glenmorangie Signet is the culmination of a lifetime’s experience. Distilled over thirty years ago when malting still occurred on site – and spirit matured in a selection of the world’s finest casks, this undoubtedly is the richest whisky in Glenmorangie’s range. 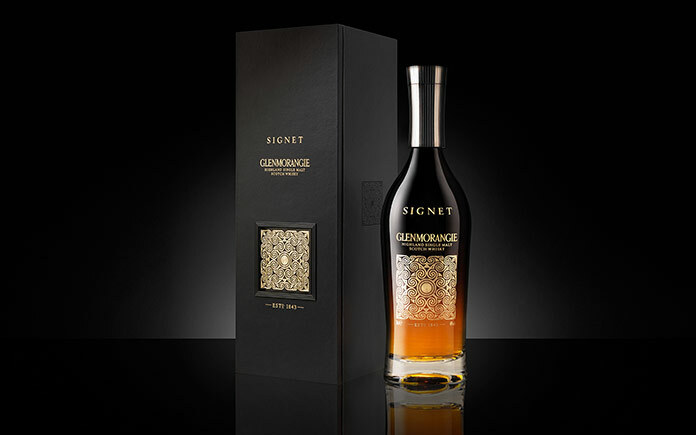 We can tell you that Signet’s melting sweetness and explosive spiciness is, at least in part, caused by the unique roasted ‘chocolate’ barley malt and the ‘designer casks’ made bespoke for Glenmorangie from American white oak. The 7th edition of the International Whisky Competition took place in Chicago over three days, from April 20 to 22 and received over 160 entries. A world-class tasting panel made of whisky, spirit, beer and wine experts blind tasted each whisky on an individual basis for 5 minutes. Each whisky was scored using a comprehensive 100-point scale system developed by Sebastien Gavillet, IWC Head of Tasting Panel and author of Discovering and Mastering Single Malt Scotch Whisky. This process makes the International Whisky Competition one of the most professional competitions of its kind in the world. No whisky scored below 71. The Glenmorangie Distillery will receive the Golden Barrel Trophy for winning the Whisky of the Year during a ceremony to be held this summer in Tain, Scotland. The International Whisky Competition brings best whiskies from around the world to be blind tasted and rated by a professional tasting panel using the most comprehensive tasting method available with 15 different criteria. These criteria are required to produce the tasting notes as well as aroma and flavor profiles for the International Whisky Guide. Unlike other competitions, the judges on its tasting panel are presented with one whisky at a time, to ensure each whisky gets the proper attention. It is the only competition in the spirits world to deliver unique medals designed to promote each of the winning whiskies. Only 3 medals (Gold, Silver & Bronze) are awarded per category. The Whisky of the Year (highest score during the competition) gets rewarded with the Golden Barrel Trophy, currently held by Diageo at The Archive in Scotland for last year’s John Walker & Sons King George V.